Ah. Wanting to colonize the moon certainly couldn't have anything to do with water and hydroxyl ever present in the soil and easy to find in the polar craters, the three-day journey time, lack of need to wait for launch windows to start a mission, or the fact that other nations are planning their own missions to the moon anyway. No, it's just old-timers grousing. Good to know. 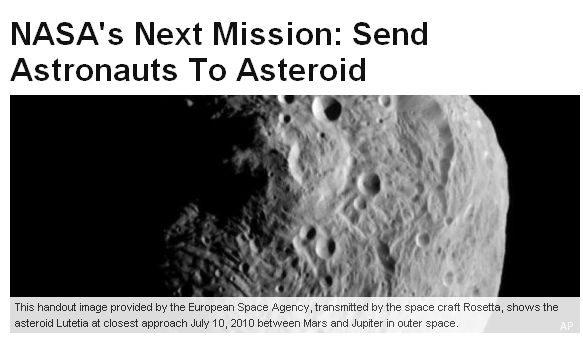 - Vesta has a diameter of 540 km or so, a mission-worthy near-Earth asteroid will probably be about 500 metres. That makes Vesta about ten billion times more massive. - A mission on Vesta involves landing, a mission to a small near-Earth asteroid is more of a docking. - Vesta is a formerly molten protoplanet, a near-Earth asteroid is likely to be dusty and rubbly. One of the challenges in exploring one would be the possibility of static electricity causing dust to clump and the slightest footprint stirring up a lot of it that the miniscule gravity would take a long time to settle. It's actually so small that we could superimpose stick men and spacecraft on this image and imagine what they would look like while exploring. On this image one pixel is a bit more than one metre. Eh, that's not Lutetia, nor does Lutetia resemble any of the near-Earth asteroids we're looking at either. 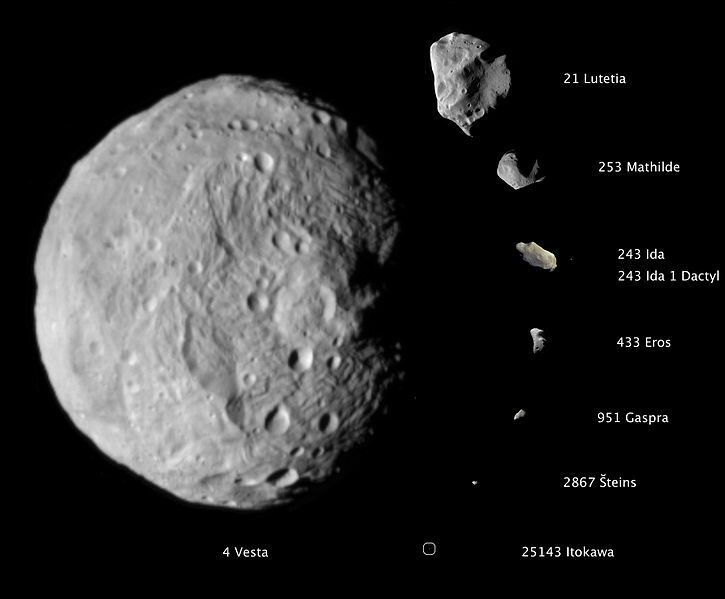 Lutetia is actually quite big (that's why it's 21 Lutetia, the 21st to be discovered) but it's not Vesta big. Lutetia was the largest asteroid we had encountered until Dawn approached Vesta. It's quite interesting, with a regolith some 600 m in depth and apparently some boulder tracks too. 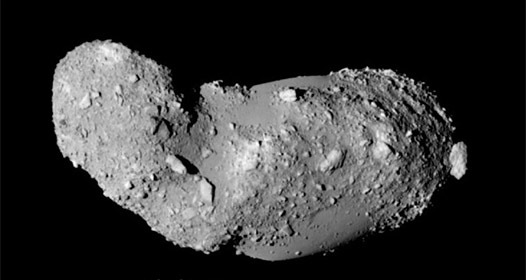 In terms of mass it's about 1/100 that of Vesta, so 100 million times more massive than 25143 Itokawa and the near-Earth asteroids NASA is looking at.